Your website is your shop window; it’s there when your office or shop is closed, and you want to instil trust from the first moment. A great website starts with proper preparation, we will research your business to understand how you’re looking to position yourself, and what your customers are looking for. We plan the build, including sketching out or wireframing important pages. This is to ensure a clear user journey through the site, with a great user experience, and so that we’re confident everything has been fully considered. Not to take anything away from the carefully thought out planning, but the next bit begins to get really exciting! Our designers begin creating your beautiful new artwork, whether it's a new logo or the beginnings of your new website. We work with a carefully selected team of professional, experienced and skilled web designers. Not just a pretty (type)face! 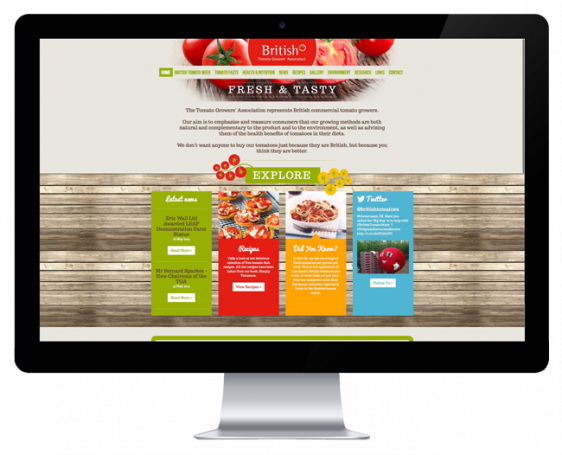 Attractive designs, brought to life through well written, standards compliant HTML and CSS. We pride ourselves on our technical abilities too, so we can create parallax effects, animations and movements, and responsive layouts across a range or tablets and phones - we have it covered!